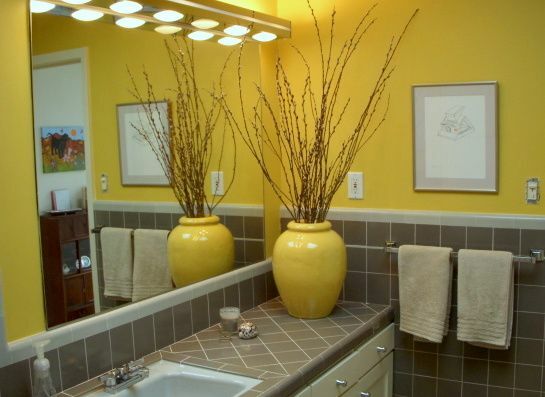 Looking for a crowd-pleasing color combo that looks clean and contemporary to make your home attractive to buyers? I vote for grey and yellow. I'll admit that when -- just a couple years ago -- I started seeing greys in photo spreads and hearing greys talked about as the new neutral, I was all, no way! Now, I see what a workhorse greys can be. I thought greys would be depressing, dark and dinghy. Not so. They are chic and soothing. They have many variations, from cool and clear, to muddy and warm, and everything in between. They're easy to combine with all kinds of other colors, but do well on their own. 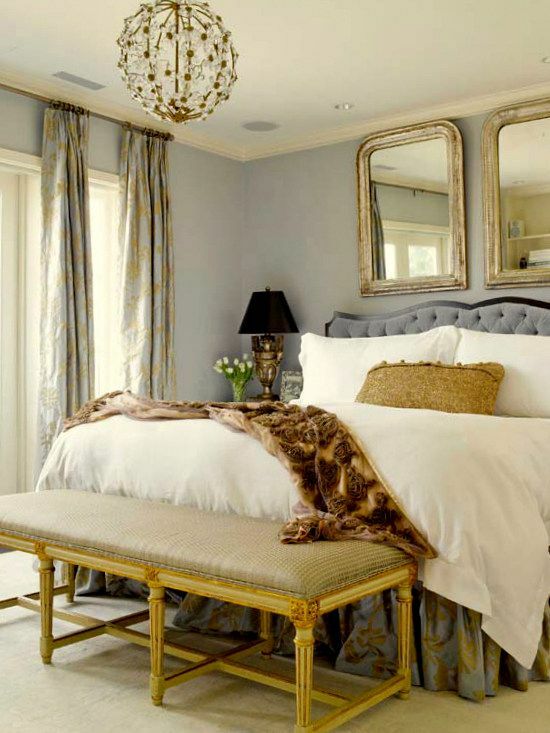 Grey is the up-to-the-moment decorating darling color now, and bound to hold that position for a years to come. Yellow is the current companion that makes it look new. Yellow is always in style. You keep the colors on the lighter side. The colors in one room flow with the colors in adjoining rooms. There are no jarring accent colors. The greys you choose are all in the same color family. The same for the yellows. grey and yellow options this season. One advantage to painting with greys is that they cover well. That's why many primers are tinted grey. Whereas some colors, particularly yellows and reds, often require two coats to completely mask a previous paint color, greys absorb light and so they mask well. Whether you're painting furniture or walls, you can save time and money by going with grey. But how do you determine the right grey when you're starting from scratch? To help you decide, look at the darkest version of any grey on the color strip at the paint store. It will help you see what the undertones are. For example, Sherwin Williams "Wallflower" is almost lilac, but you might not notice that unless you look at the other end of the same strip and see the saturated maroon chip. Their "Silver Strand" has olive brown undertones, which is apparent when you look at the dark end of the color strip. If you're looking for a bluish grey, you'll find it at on the strip that has navy colors on the dark side, and greys named "Icy," and "Solitude" on the same strip. 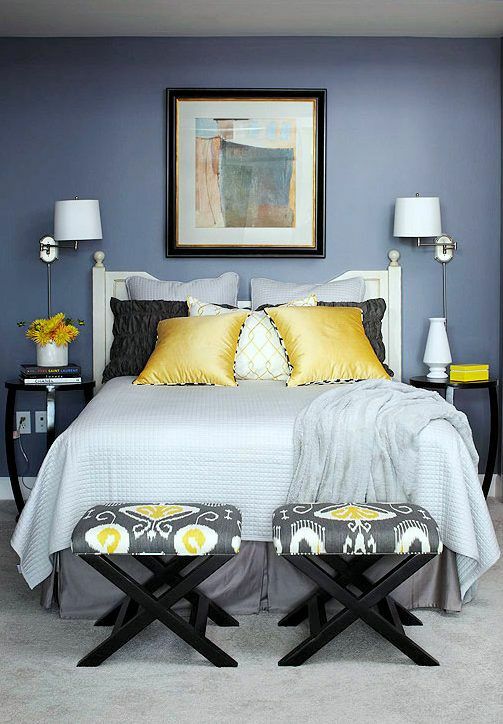 Once you have a color grey you want to use, whether you are painting with it or just using it to match something like fabric, previously painted furniture, carpeting or tile, carry the paint chip with you as a sample when you are making your home staging decorating decisions. The other greys in the room needn't match, but they should share the same undertone. 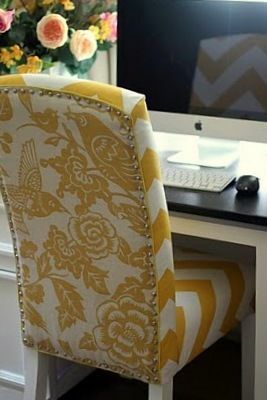 or upholstered pieces, finding the right shade of yellow will update them. Photo: hgtv. 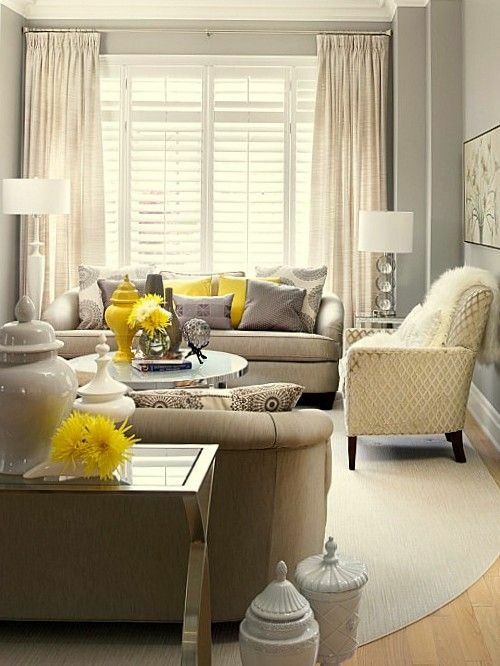 yellow accents here add texture and warmth. Photo: Luckypinkelephants. 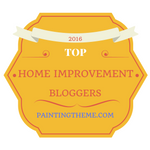 you can slipcover or paint upholstered pieces, right? Photo: Plummers Furniture. a certain crispness to the space. This photo and top two photos: bhg. furnishings will be your neutral pieces in the future. Photo: DirectHomes. 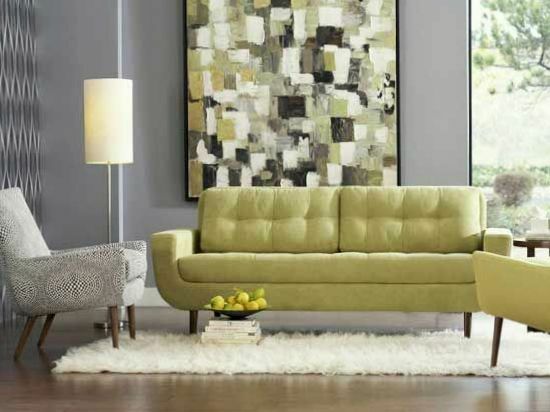 The colors you choose for decorating your home can make or break your home staging Greys mixed with yellows give you a safe route that's on trend and versatile. 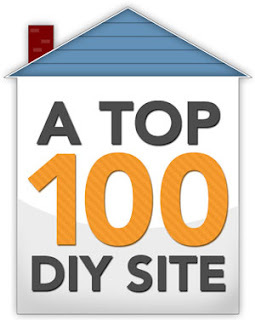 For much more advice on colors, accessories, furniture arrangement, cleaning, decluttering, landscaping, and other projects for staging your own home, download my $4.99 eBook, DIY Home Staging Tips to Sell Your Home Fast for Top Dollar. It comes with my money back guarantee.